I am a big fan of natuical for summer and anchor's are putting a modern twist, on the classic style, this season. Having purchased some orange anchor print capris myself, I have been gravitiating to anything with this cute print. 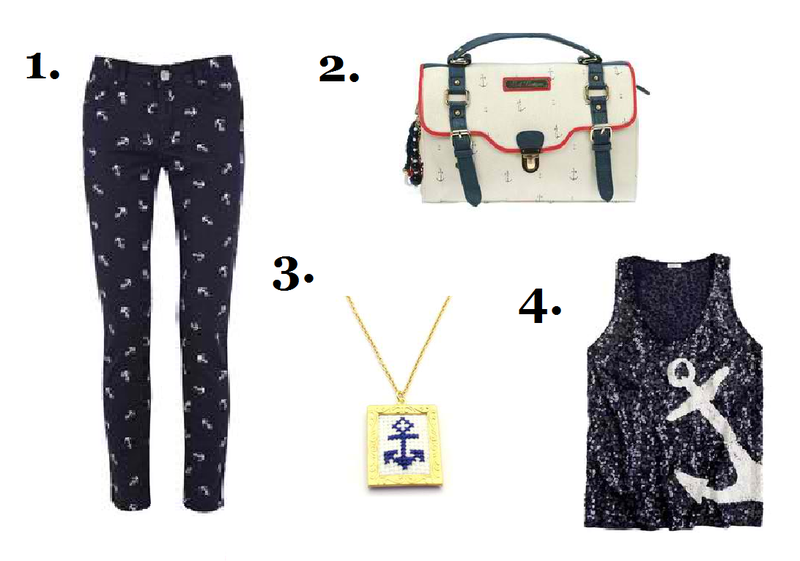 I particularly almost passed out when I was browsing J.Crew and I stumbled upon a sequined anchor tank, listed above, in its sparkle anchor glory and all. Ahoy there ladies, lets get ay shopping!